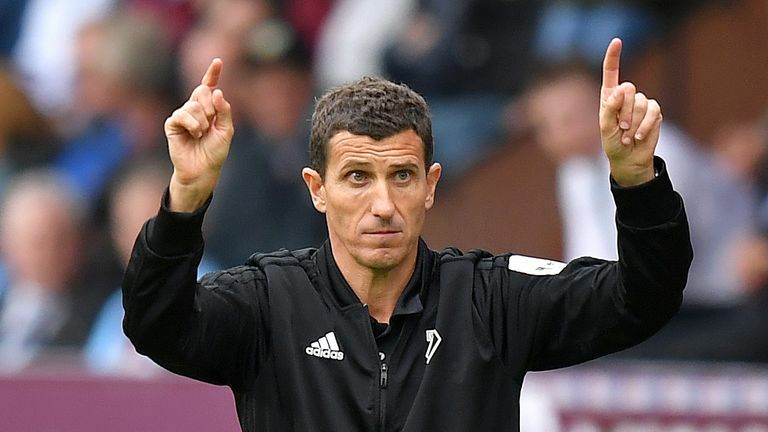 Watford head coach Javi Gracia will sign a new contract at the club next week which will take him up to the end of the 2020/21 campaign. Sky Sports News reported earlier this month the Spaniard would sign a new deal in the coming weeks. Gracia signed an 18-month contract when he replaced Marco Silva in January and managed to overturn a run of one win in 11 Premier League matches under his predecessor to secure a 14th-placed finish. Speaking about the contract, he said: "We reached an agreement for the next few years, I have not yet signed but I will do in the next week. "And I am happy because I think it's good for me, good for the club as well and we will see." Following the sacking of Slavisa Jokanovic at Fulham, where he was replaced by Claudio Ranieri, Gracia was asked if he felt secure in his job at Watford. "As a coach you know, your job always depends on the results but in this moment what I can say is I'm proud to be part of this project," he said. "Not only for one year but for a long time and I think it's good for me, I feel happy here, my technical staff are happy as well. We try, within our job, to help and improve the team." The 48-year-old will become the first boss at Watford to sign a contract extension since Malky Mackay in 2011. Watford are currently seventh in the Premier League table having won six, drawn two and lost four.